London cinematic metal quintet THE EVER LIVING have announced the release of debut album Herephemine on 4 May via Chromism Records: a 12-track transcendental journey through darkness, euphoria and dense atmosphere. The band have also announced a special one off release show on 17 May at the Boston Music Room, London. As the long awaited follow up to the band’s self-titled debut EP, Herephemine expands on their established sound by further exploring sonic extremes with greater dynamics and deeper production. Clocking in at 66 minutes, THE EVER LIVING fully utilise intensity as much as they do space, creating an immersive world for the listener to explore. Seeking fresh inspiration, Chris Bevan Lee (Keyboards / Vocals) and Andrei Alan(Guitars) travelled to Georgia to explore its Soviet architecture and history. It was there that many of the album's themes and ideas were spawned. 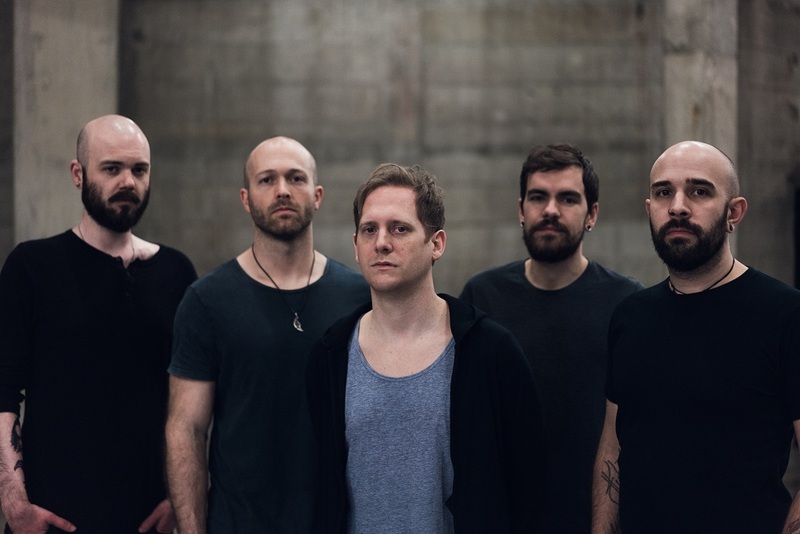 Not afraid to experiment with juxtaposing ideas,THE EVER LIVING effortlessly combine melody and dissonance, chilling screams and lush atmospherics, and intensity and space, to create their multi-layered sound. Almost like a living organism, the brooding bass and drums drive the guitars and synths, which entwine together to create colour and darkness throughout. With Jonny Renshaw (Devil Sold His Soul) at the producing helm, the band’s vision of Herephemine has been fully realised with sonic excellence.